William Packer was born in 1940, educated at Windsor Grammar School, and trained as a painter at Wimbledon School of Art. 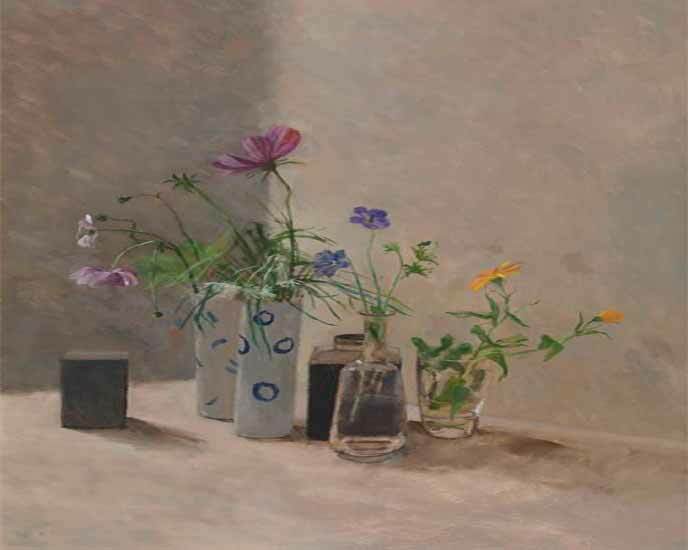 He first exhibited his work in 1963, at the RA Summer Show, and nowadays shows principally with The New English Art Club, of which he is a member, and with the Piers Feetham Gallery. His parallel career as an art critic began in 1969, and from 1974 he was for 30 years the Art Critic for the Financial Times: he writes now as a freelance. He also taught for many years, variously as part-time studio teacher, visitor and examiner, at art schools around the country; has published several books (the latest a monograph on the painter, Sarah Raphael – Unicorn Press); has been a selector for countless exhibitions; and, in the public sphere, has served on numerous committees, councils and boards. He is an Honorary Fellow of the RCA. His wife Clare is also an artist: they have three daughters.